UAE’s Federal Competitiveness and Statistics Authority (FCSA) has signed 10 memorandums of understanding (MoUs) and strategic partnership agreements that aim to develop national capabilities in the field of statistics. The announcement was made on the first day of the second UN World Data Forum, launched in Dubai yesterday (October 22) and taking place over the course of three days until October 24, reported Emirates news agency Wam. The MoUs aim to promote coordination, harmonise efforts and strengthen partnerships among various government and private entities to improve statistical practices in the UAE, in addition to developing a database using state-of-the-art data-collection technology, and developing indices that reflect the UAE’s achievements towards meeting the SDGs 2030. The MoUs and strategic partnership agreements were signed at the UAE pavilion in the Forum, in the presence of Mohammad Abdulla Al Gergawi, Minister of Cabinet Affairs and the Future, chairman of the FCSA; and Abdullah Nasser Lootah, FCSA director general and chairman of the Organising Committee of the UN World Data Forum 2018, along with several senior officials and corporate managers. The agreements include a partnership with the Ministry of Interior, whereby the FCSA will work on surveying the Ministry’s basic performance indicators during 2018 and 2019. It will also work on how that contributed to enhancing the UAE’s competitive position, making it a safe business environment to attract investments, in alignment with the UAE Vision 2021 that will complement the UN’s SDGs 2030. The FCSA also signed a MoU with the UAE General Civil Aviation Authority (GCAA), to provide updated and periodical data on air traffic and air transport at the local, regional and international levels, thus establishing a periodic and regular database in this field. Furthermore, the FCSA signed a strategic partnership agreement with the Dubai Institute of Design and Innovation (DIDI) to exchange knowledge and expertise and enhance cooperation in developing innovative mechanisms to analyse trends and address challenges in innovative ways, based on best practices in statistics and competitive policy-making. The agreement is an essential step in supporting the realisation of the UAE’s National Innovation Strategy, which seeks to strengthen partnerships between various public and private entities and institutions, support innovation incubators, build specialised national capabilities, stimulate the private sector and build global research partnerships to change the government’s work ecosystem towards further innovation. 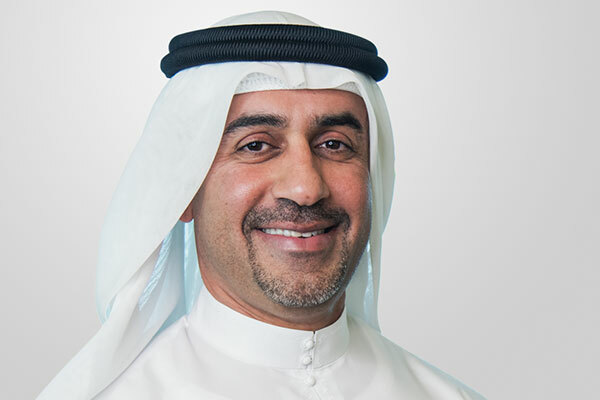 In addition, the agreement promotes bilateral work, unifying the efforts of both entities to design creative and innovative systems that drive the collection of statistics and accurate data and employs them in developing long-term strategic visions and plans to overcome the challenges facing society in many sectors, which, in turn, enhances the UAE’s status on global competitiveness indexes. The FCSA signed a partnership agreement with the British Office for National Statistics to promote cooperation, update databases and information, improve the implementation of statistics for data production and collaborate to support the United Nations Global Platform for Data in secure and reliable ways. Furthermore, it aims to develop national capabilities in the fields of statistics and facilitate the exchange of best practices on open data. The Authority also signed an MoU with DeepAI to use artificial intelligence technology and its applications in statistics and provide accurate statistical data. As per the MoU, DeepAI will provide technological services and develop prototypes of automated learning and population forecasting tools. The agreements include a strategic partnership with Esri, which aims to strengthen cooperation to implement a unified system that complies with the best international practices in government statistics around the world to enhance SDG-related data on the United Nations Web Portal. Under the terms of the agreement, Esri will start developing the system, the first of its kind in the region, which aims to create a Geographic Information System (GIS) road map in the field of national statistics. It will also implement the UAE SDGs Plan, and other projects of geographical analysis using case studies that serve the economic and social goals of SDGs at the local and global levels. The FCSA signed another MoU with Cloudera, whereby the American company will work with the Authority to develop a big data ecosystem by introducing state-of-the-art technology, including machine learning and advanced analytics. It will also develop the "Data Lake" Platform Project, whereby data from multiple sources are collected to be verified, providing deep and accurate workable and implementable forecasts. The FCSA signed another MoU with the Nielsen Media Survey Foundation, whereby Nielsen will cooperate with the FCSA in the areas of data exchange and development of innovative methods to collect data and studies on consumption behaviour and product demand, thus contributing to the transition from fieldwork data collection to automated data collection. The FCSA signed an MoU with Delta Technology and Management Services Pvt. Ltd. that provides all the requirements to promote statistical process through digital transformation, including the collection of big data processes and official statistics that serve in meeting the UN’s SDGs. The MoU provides for the adoption of global practices on open data and commits to highest international standards to ensure data integrity, and reporting analyses and forecasts. During the first day of the UN World Data Forum 2018, the FCSA signed a partnership agreement with Statistics Denmark, to optimise the use of data and statistics in meeting the SDGs 2030 by implementing the UAE Department of Statistics Programme based on best global practices and developing capabilities to implement statistics and collect large administrative data.